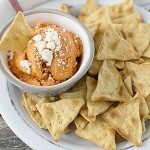 Let’s talk snacks! Are you a snacker? I am. I love snacking! 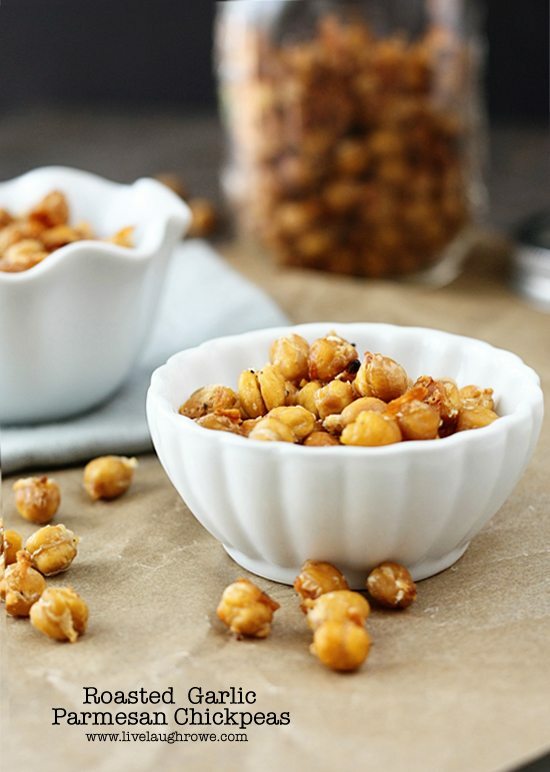 And because of that… I have to keep some healthy options around and these Roasted Garlic Parmesan Chickpeas just happens to be a new fave. I’m not sure what I do without my mom sending me some awesome recipes to try! She is the bestest… One day we were chatting on the phone and she asked if I had tried roasted chickpeas. It sounded yummy, but I had not tried them. I then proceeded to ask for the recipe. I gave them a try and loved them! 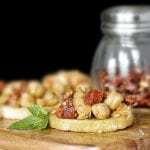 I’ve always loved chickpeas in salads hummus is a staple around here, so I gladly welcomed another reason to keep even more chickpeas in my pantry. Oh, don’t forget to save your favorite recipes to your personal recipe box with the button on all of my recipes! Create a Meal Plan out of your favorite recipes and the ingredients will automatically be added to your own Grocery Shopping List! 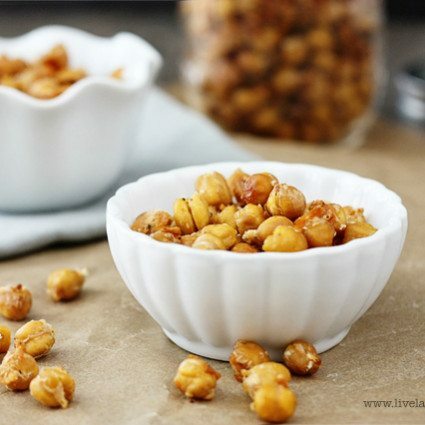 Spread the chickpeas on several layers of paper towels and let dry 30 minutes. Preheat the oven to 425. In a medium bowl, combine oil, garlic, salt and pepper. Add cheese and stir until crumble and oil is absorbed. Add chickpeas and toss to coat. Spread on a baking sheet and bake for 45 to 50 minutes, or until golden and crispy. Cool. When cooled, store in an air tight container. Do you have a favorite snack? Be sure to share in the comments! 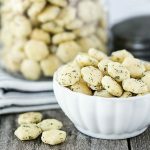 Dilly Oyster Cracker Recipe | Snack Time! Thanks Bec! 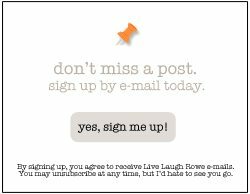 I’m sure you will love them! Enjoy the rest of your day. xo. These look delicious and I have everything in my pantry to make them – YUM! Thanks Keri! They are delicious. 🙂 Hope you give the recipe a try. HUGS. Thanks Claire. 🙂 I’m sure your husband will enjoy them! HUGS! These look really wonderful! We will be trying them at my house! Thanks for stopping by! I’m sure you and your family will love them. 🙂 HUGS! I have been meaning to try roasting chickpeas. This looks like the perfect recipe to start off with! Thanks Brenda! Hope you’ll give them a try…I’m sure you’ll love them. HUGS. They are really good Kerry! 🙂 You’ll have to give them a try. I’m sure you’ll love them. Enjoy the rest of your week. xo. 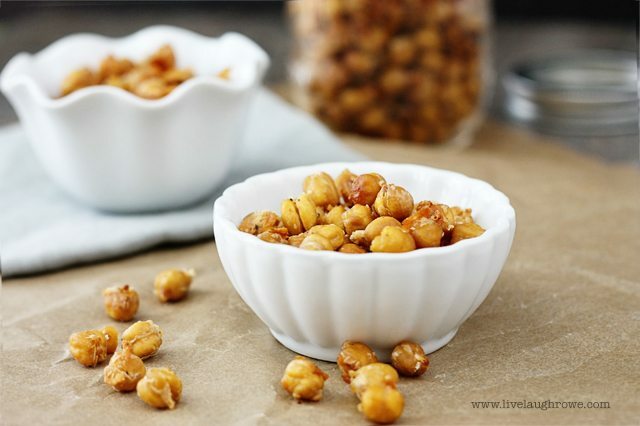 Roasted chic peas are amazing and so if your photography!! OMG. Love. 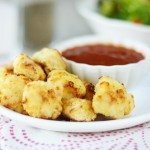 I usually make these with cumin and cayenne but the garlic/parmesan combination sounds delicious! I am so trying these they look amazing! This sounds like a delicious, healthy snack. I’m giving it a try! Thanks for sharing.